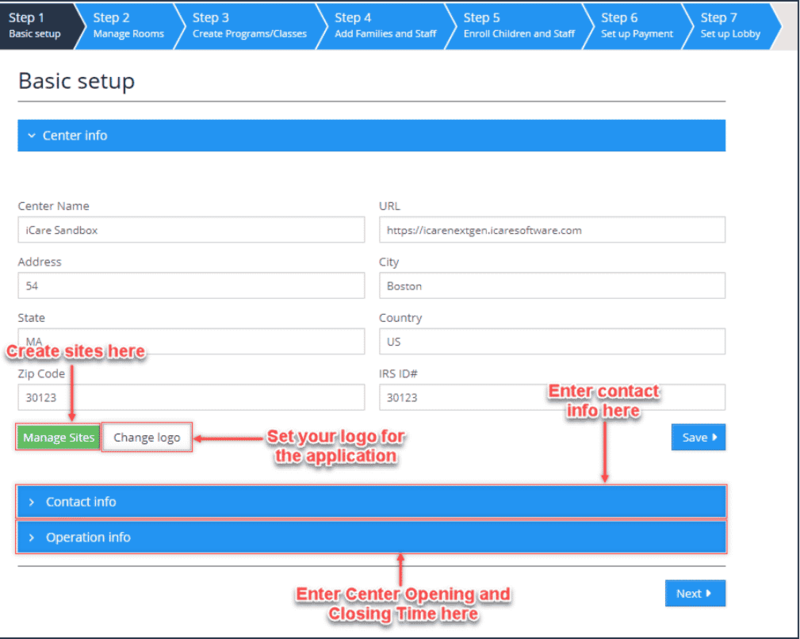 Enter a main address, URL, add your logo. If you manage multiple locations, list each site. 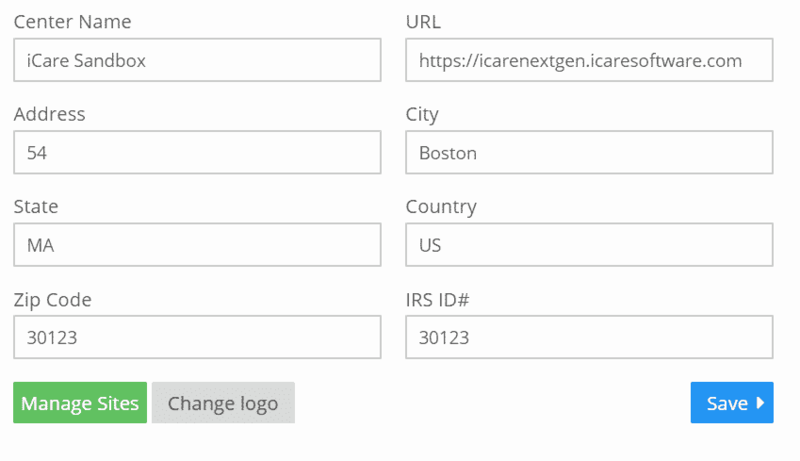 Enter contact information used for correspondence with iCare Support as well as correspondence with you parents. Enter the primary Administrator’s Contact information. 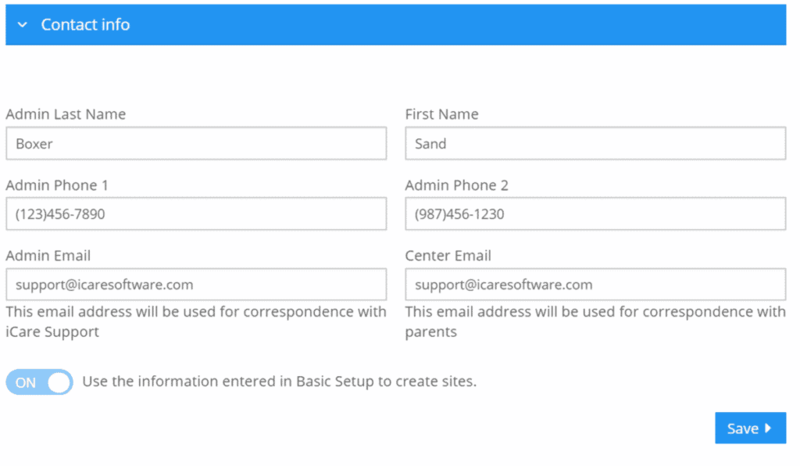 Admin Email is used for correspondence with iCare Support while Center Email is used for correspondence with parents. 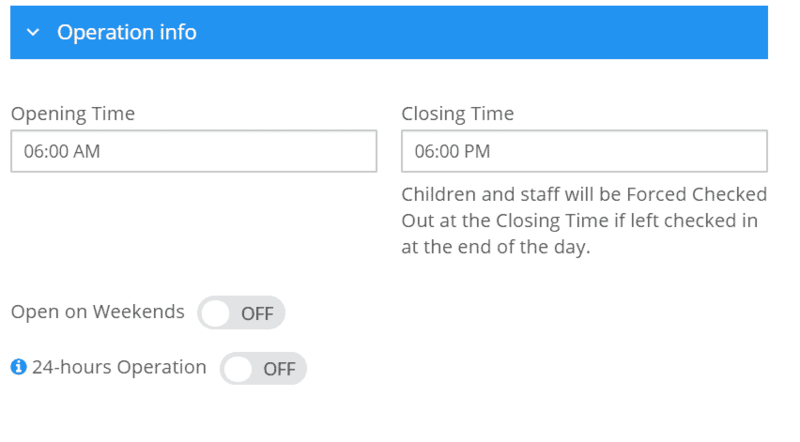 Enter your opening & closing time and indication if you are open on the weekends or required a 24 hour operation time which allows a person to check-in on one day and check-out the next day. Need Training? Ask Us About Training for your Center.